It’s the third price hike in just over a year. BT’s announced that on 3rd Dec its line rental will jump another 70p to a whopping £14.60 per month. A year ago it was just £12.79, a 14% rise. Not only that, daytime call costs jump to 8p (from 7.6p) and the new connection charge adds 13.1p (from 12.5p) to every paid call. The hikes, which take effect on 3 December 2011 and will be the third set of rises in 14 months from BT which has 11.5 million landline customers. It last raised costs in April this year, following another increase in October 2010. The cost of many line rental packages, standard broadband and the price of calling other UK landlines will rise by up to 5%. Daytime calls to landlines will rise from 7.6p a minute to 7.95p a minute. However, BT’s Line Rental Saver, which allows you to pay £120 up-front for a year’s standard line rental, won’t rise in price. Nor will some broadband bundles and calls to mobiles. Following the hikes, BT will freeze some prices until 2013 including those for its most popular ‘anytime’ calls plan, standard line rental and the cost of calling other UK landlines. 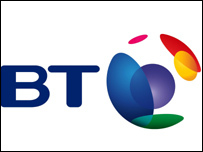 Pay a year up-front and get £10 per month BT line rental. BT customers who don’t want to change can still save. Its Line Rental Saver* costs £120 up-front for a year, which includes weekend calls. This price is fixed. £6.79 line rental – less than half BT. If you’ve a BT line (not cable/Kingston) you can slice costs with no change, your calls just go via someone else. For those who make few calls, Primus Line Rental Saver* is £6.79/month on a year’s contract. Otherwise, Primus Home Phone Saver* is £7.99/month with free landline evening & weekend calls, and cheaper daytime calls than BT. Line rental, broadband and calls, £11.66/month. TalkTalk’s Essentials package* is currently £16.66/month for line rental, calls and broadband (for 85% of UK). Yet sign up via uSwitch (link above goes there) and you get a £60 Tesco gift card too. Factor that in over the year’s contract, it’s £11.66/mth average – cheaper than BT line rental alone. Then cut call costs to 5p PER CALL. Once you’ve sorted line rental, slice paid-for call costs using no-frills calls provider 18185. Sign up, dial that prefix (TalkTalk sometimes bars this) before the number to cut daytime landlines costs to 5p/CALL rather than 13p connection and 8p/MIN from BT. It’s also roughly half price for mobiles midweek. More options in the MSECallChecker. You may be able to escape. If you inform BT within 10 days of being notified of a price rise, you should be able to leave without penalty (you can switch to its Line Rental Saver deal anytime).